Mary Duffy, Artist: Artist's Talk at the Mermaid the Wednesday at 7pm. 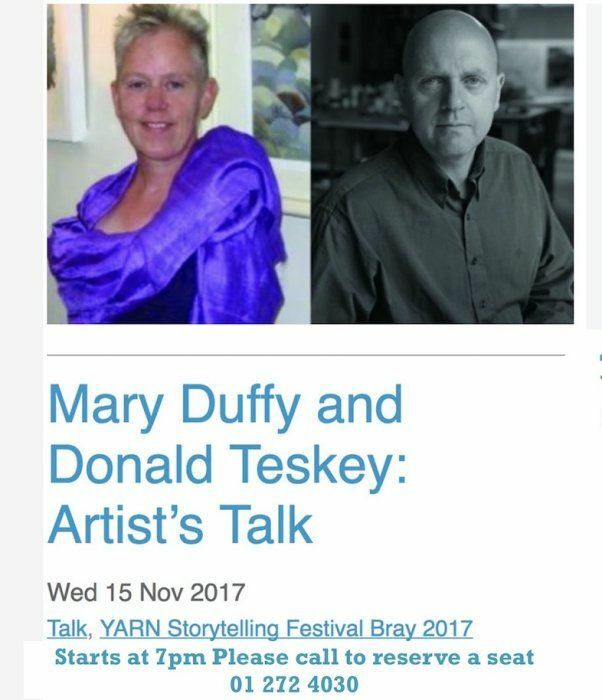 Come join Donald Teskey and myself this Wednesday evening at 7pm in Bray at The Mermaid. In 2016 I received an Arts + Disability Connect Bursary with support from Dublin City Council and Mermaid Arts Centre. Over a year, I worked with artist and mentor, Donald Teskey (RHA) as I negotiated a move from primarily worked outdoors to one who is now at ease in my studio. Come join us, meet the artists and see a selection of our work as we discuss the past year working together. Entry is free, and to book a seat please call Box Office on 01 2724030.